We're finding our way through a "first." October 15 is Vanessa’s birthday. She would be 33 today. These “special days” of birthday, anniversaries and holidays are so tough – this first time through everything, without Vanessa, hits really hard. In thinking about what we wanted to do to mark Vanessa’s birthday, Christina and I tried to channel what Vanessa would appreciate us doing. We realized that she, ever-impatient with too many words and utterly annoyed at too much moping, would likely have been most touched by bold actions taken, especially those that made life better for someone. 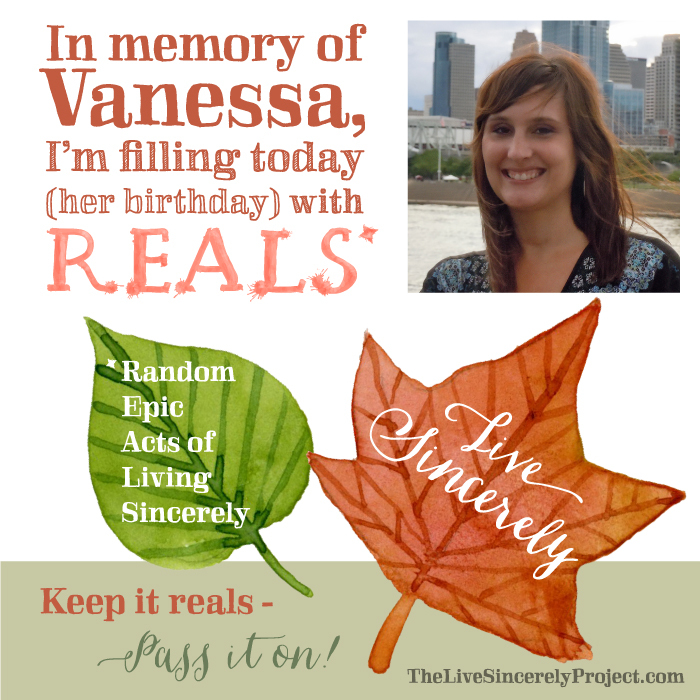 It would mean a lot to us if you’d like to join us in honoring Vanessa in this way. 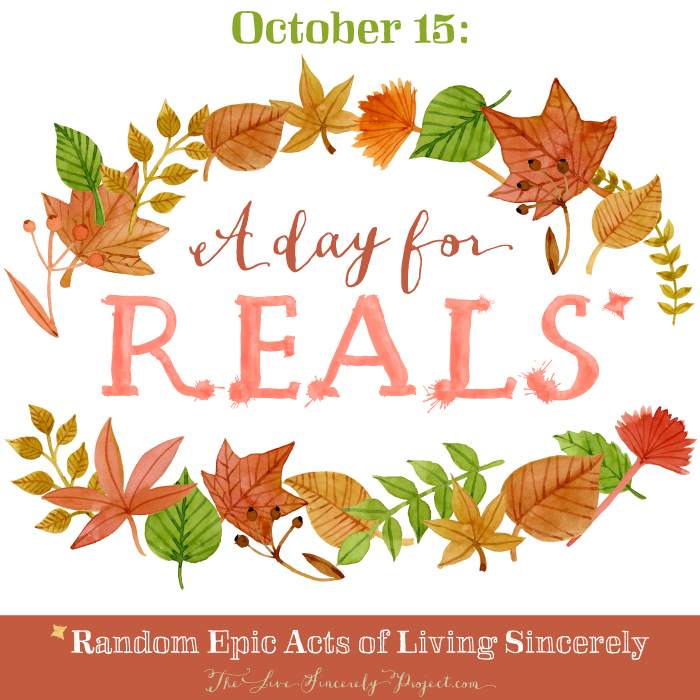 :) If you do some REALS, we’d love to hear back how you (and Vanessa by proxy) made the world a little bit better today! I’m going to try to include this card when I’m REALSing, so people get to meet Vanessa as the inspiration behind the surprise extra kindness. If you’d like to print a sheet to use too, click here! Happy birthday, Vanessa. You’re still making a difference.